As you know, laptops are different from desktop PC, not only the appearance and location of internal devices. As a rule, for laptops are designed with a special "mobile" solution with lower power consumption and dimensions. The changes affect and the BIOS. However, the difference is not so much. 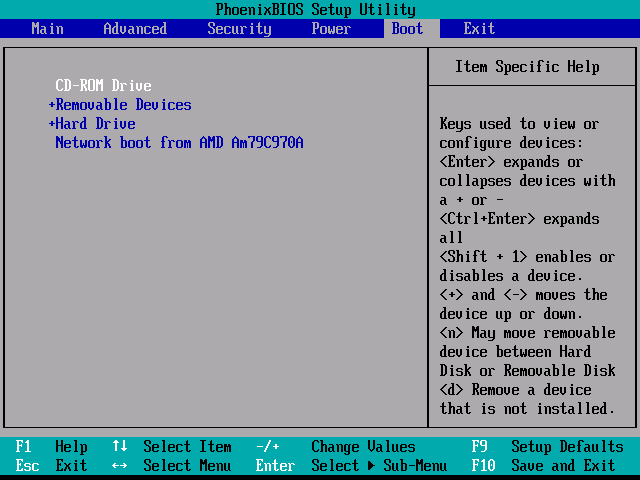 Anyone who ran the control panel the BIOS on any desktop PC already accustomed often to press Del to run BIOS. This is because the vast majority of motherboards the same chip supplier base input / output (“Basic Input-Output System - BIOS). With laptops the situation is somewhat different – from different manufacturers button for the BIOS may differ. Look carefully at the bottom of the screen when you turn on the laptop. Either in the left or in the bottom right of the screen appears briefly while the inscription of “Press F2 to enter setup”. Maybe on your laptop the inscription is slightly different, but the most important is to remember the key specified in the given string. This key plays the role of the button “Delete” at startup. Restart the laptop, if you do not have time to press on time and immediately after the download begins, repeatedly press the specified key earlier (many, not to be mistaken, use the technique of repeatedly pressing until the BIOS screen). Also require button you can learn from guides to using the motherboard installed on your laptop. In the manual (often called "manuals") look for the section "Bios Features". It not only is described step by step the process of calling the BIOS screen, but also recommendations for setting up your laptop as well as a description of all the items contained there. Download guidance on using the motherboard from the official website of the manufacturer of your notebook if the paper version of the guide was for one reason or another, lost. When examining the BIOS settings, pay special attention to the possibility of reset to the values set by the manufacturer, however, even knowing this, you should not try to change everything because changing some parameters can cause even rebooting does not help and you will have to carry the laptop in repair shop. It should be noted that this technique is suitable not only for laptops Acer but for all the others.